To offer personalized financial services to help our clients and their families pursue their goals and enjoy the wealth they have created. John was born in Cleveland and has lived here all his life. After a successful career at a local Cleveland company, he began working in the financial services field in 1997. For nearly 20 years he has been dedicated to providing clients with customized investment strategies designed to help meet expectations and long-term goals. He has served on the board of directors for a local non-profit community health center, and continues to actively support local community fundraising efforts. John earned his degree in business from Cuyahoga County Community College. He enjoys the outdoors, golf, and spending time with his family. John and his wife, Karen, live in Strongsville, Ohio. They have two daughters. In addition, John earned the CRPC® (Chartered Retirement Planning CounselorSM) designation and the CPFA® (Certified Plan Fiduciary Advisor) designation. Kenneth D. Cunningham has been in the financial industry since 1985 and joined Merrill Lynch in 2009. Ken’s focus is on developing strategies and advice for individuals, their families and their businesses by understanding their short- and long-term financial objectives. Ken holds the Vice President and Senior Financial Advisor Title and he is a graduate of Kent State University with a bachelor's degree in Finance. He and his wife Jeanie, live in Brecksville and are active in the community. W. Todd Kiick follows a disciplined process that begins with first taking the time to fully understand each client's particular needs, concerns and priorities. Passionate about delivering excellent service, Todd holds the CERTIFIED FINANCIAL PLANNER (CFP) certification . He is a graduate of York College of Pennsylvania with a bachelor’s degree in Economics and Finance. 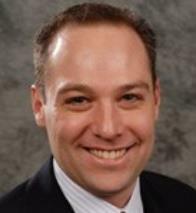 Todd joined Merrill Lynch in 2002, and is very active in his Rotary Club and his local church. 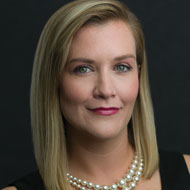 Pebble Willoughby joined Merrill Lynch in 1998, as a dedicated registered client associate at Merrill Lynch. She strives always to provide “white glove” service to clients, addressing their daily operational inquiries and needs. Pebble resides in Strongsville, Ohio. Damiano, Cunningham, Kiick & Associates team brings shared ideas and resources to clients, offering a goals-based wealth management approach that puts them, rather than the market, at the center of the wealth management process. Offering access to the global investing resources of Merrill Lynch and the banking convenience of Bank of America, we can assist clients in identifying and prioritizing personal goals, which might include planning for and funding children’s or grandchildren’s educations, helping ensure that money lasts in retirement, covering potential health care costs, and preserving wealth. We then help develop a financial strategy aligned with their goals.